Similar to our fruit offering, our snack boxes are formulated to aid a balanced diet and keep employees happy and productive. Healthy snacks carefully selected by nutritionists provide the perfect mix of carbohydrate, protein and fat to eradicate hunger for longer. All Nutribox snacks are gluten free. 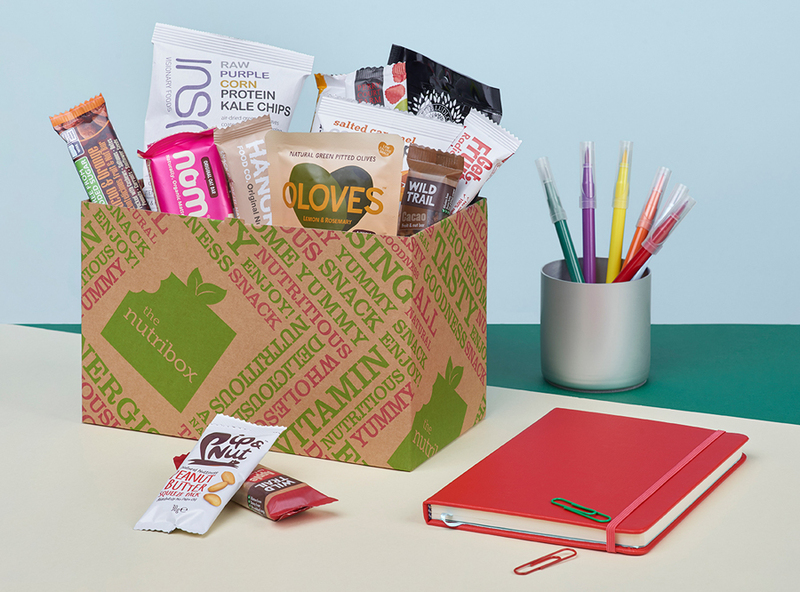 Our slim Nutribox is the perfect personal snack box. It contains 10 of our favourite individual snacks from the wide range found in the larger boxes. This box fits through most letterboxes so it’s ideal for home deliveries.